Students are inspired to rise and move beyond their comfort zone, take risks, try new things, develop new interests, strengthen their beliefs and reach for the next educational level. 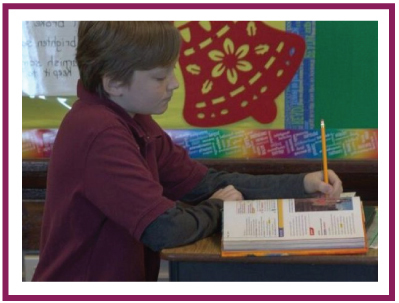 St. Paul Lutheran School is fully accredited through the state of Kansas; we provide high academic standards and the tools to achieve. We feel it is important to provide a hands-on learning environment for our young developing minds. Christ is the center of all our core subjects: Bible, reading, language arts, writing, mathematics, science, history, and social studies. Students learn how to apply God’s word in all subject areas. Our staff patiently understands each child learns at a different pace and is willing to help them rise to greater heights. God cares about the individual, and so do we.